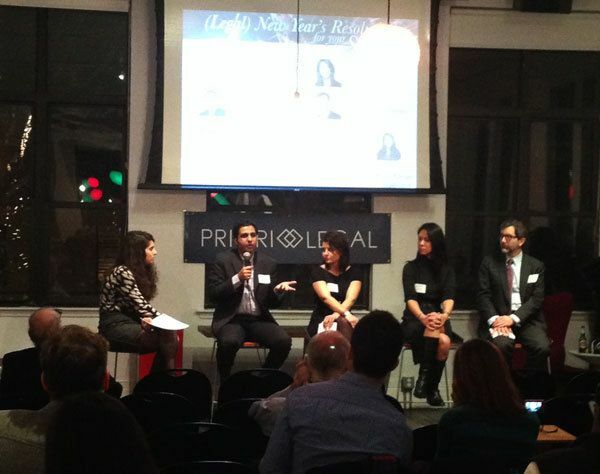 Kaiser Wahab, partner at Riveles Wahab, participated in a “(Legal) New Year’s Resolutions for Your Startup” panel hosted by Legal Talk for Entrepreneurs on December 16th. Moderated by Mirra Levitt, General Counsel at Priori Legal, the panel of attorneys shared advice and tips for ambitious entrepreneurs who don’t want legal risks getting in the way of a great new year. Kaiser gave his advice on what to do (and not do) in your next financing, Kelly Weiner explained how to use intellectual property law to grow your brand, Kristine Sova went over how to structure successful employee and contractor relationships, and Ihsan Dogramaci discussed how to manage litigation and collections risk.